It doesn’t matter if you are managing your own business, supervising a small department, or simply running a tight ship at home – you are always trying to influence and persuade people. You want your employees to commit to the company, your team members to adhere to some procedures and ways of doing things, or your kids to pick up their mess. 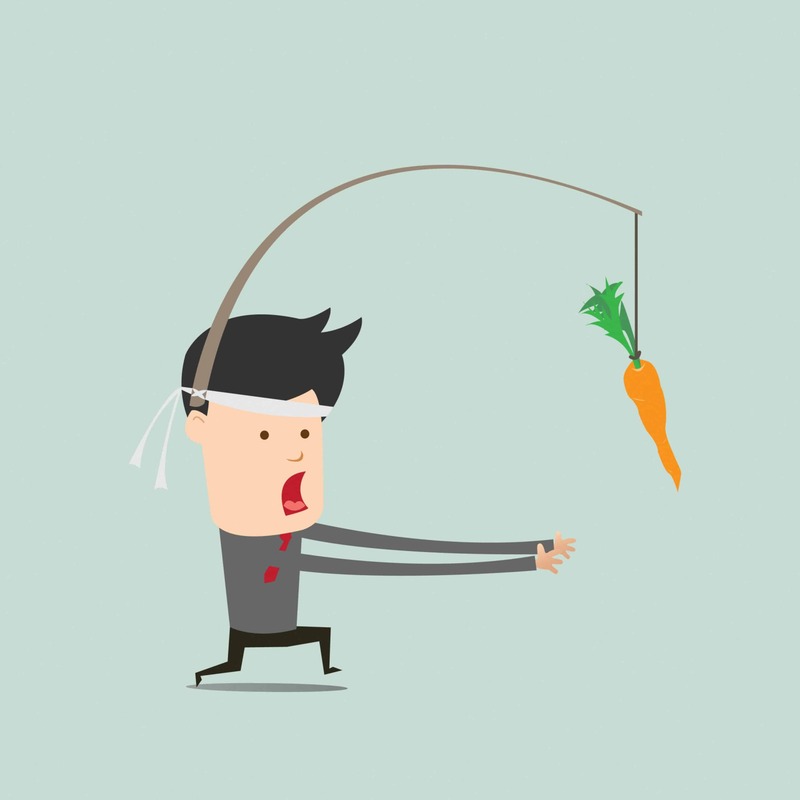 From an early age, we have experienced and most likely used the old “carrot and the stick” approach, which assumes rewards and punishments generate an unequivocal causality towards promoting desired behaviors and deterring unwanted ones. At its core, the rationale behind rewarding wanted behavior and punishing unwanted behavior is not completely flawed; after all, this is how we were raised, how our schools kept us in check, and how most companies try to guide the actions of their employees. They can’t all be wrong, right? But have you ever experienced the limitations of this approach? Have you ever seen kids (perhaps even yours) disobey in spite of being fully aware of the consequences, or employees not giving their best in spite of the attractive bonuses offered? There’s no easy way to influence behavior, even when common sense would tell us that everybody should want to obtain a reward and avoid a punishment. Surprising as it may sound, we don’t always act in our self-interest, and knowing what’s best for us is not always enough. Let me share some examples of how the old ways of stirring behavior often fall short, and what alternatives we have to be more successful at making others go our way. Example 1. I told them to do it, so why won’t they? Equally common among managers and parents, the assumption is that because we told someone what to do, or how to do it, this should automatically translate into them doing it. If you think about it, although coercion can sometimes do the trick, most of the time we do things when it makes sense to us, when it makes our lives easier, or when it helps us achieve something we want. Hack #1: Reframe by showing what’s in it for them. Authority alone doesn’t fly, especially with younger generations. Instead, try to frame the situation as a choice where there’s something they can get out of it. Instead of handing down the solution, work with them finding one and make it about simplifying things or achieving more. Change is uncomfortable, and we don’t want to do it unless we see a good reason to. Help people see that reason by reframing and you’ll be more successful at influencing their actions. Example 2. They know they shouldn’t do it, so why do they? The administration at an apartment complex was struggling to make residents comply with the rule of picking up their dog’s poop and disposing of it properly. The idea of not accidentally stepping on poop should be incentive enough for people to comply, right? Wrong. People would let their pooch evacuate freely on the lawn in spite of all the signs warning and threatening offenders. Hack # 2: Make it easier for people to act. What’s true in game and app design is true in poop-disposing habits: want people to do something? Make it easy for them to do it. It turns out most people were breaking the rule because they kept forgetting the baggie upstairs, and no sign in the world was going to make them ride the elevator and come back to pick it up. The solution? Place bag dispensers all over with a positively worded sign encouraging residents to keep it clean for the sake of kids. Example 3. We all have to do it, so why won’t they? A friend from a network marketing company was having trouble with people attending the weekly meetings. Team members always had a good excuse not to be there in spite of having committed to show up the week before. The problem was that their commitment was towards an individual (my friend), so as long as they felt they had a good alibi, they were ok with breaking it. Hack # 3: Use social proof to your advantage. Nobody wants to be a castaway, and we will go to great lengths not to feel left out. I advised my friend to work on building a team identity and make the members commit to the team instead of to a person. Making everyone feel they were part of something bigger was the first step, because that is what connects one’s identity to the higher purpose of the team. Once members feel this, it is substantially harder to bail on each other. This works equally in the military, in church and on your soccer team. The second step was to have the members publicly commit to showing up to the meetings so that, if they failed to show, they were letting down not a person – whom they could later bluff – but rather the entire team. These are just a few of the many behavioral nudges that you can use to increase your ability to influence others and to help people, or yourself, make better decisions. The old carrot and the stick don’t always deliver, and our little irrationalities could always use an extra nudge. As always, feel free to comment below to share your own experiences or contact me if you have any questions. 5 myths about Martin Luther King Jr.